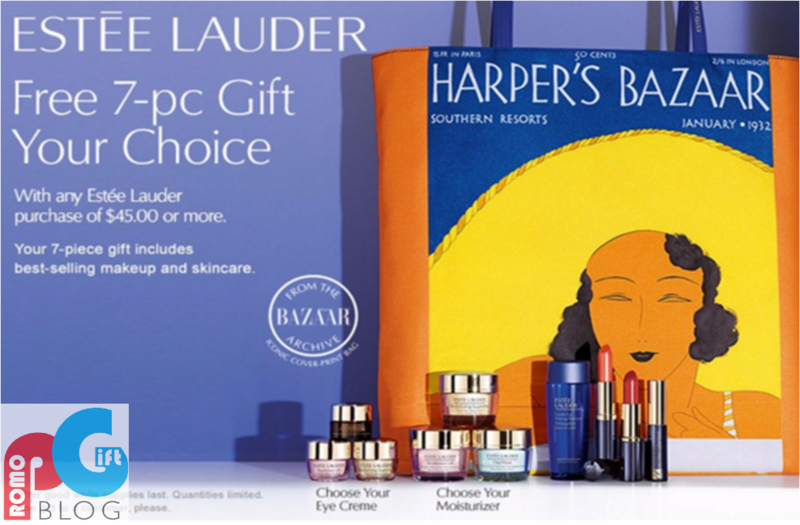 Famous beauty brand, Estee Lauder along with leading fashion and beauty magazine, Harper's Bazaar have collaborated to offer this amazing gift with purchase promotion, the perfect gift for the ladies! With any purchase of over $45.00 or more on any of Estee Lauder's collection, you will be eligible to receive a 7-piece gift set including some of Estee's best-selling make-up and skincare along with a Bazaar Archive printed bag featuring their iconic cover. What's more, to make this beauty gift set better than it already is, you can even choose which of Estee Lauder products you wish to receive! Offering great value to any lady wanting to stock up and pamper herself. Estee Lauder and Harper's Bazaar are two big brands consumers are familiar with and are therefore increasingly more receptive to their marketing approach. Being well-established brands can help to increase overall sales for both, as well as reach a wider consumer base. Offering a gift with purchase with high brand value from two brands will entice a positive brand experience from the consumer. This from then on will encourage better brand recall and customer retention. With 2 branded products being offered this further expands to account for consumer tastes and to increase the value of the GWP but also to the markets being targeted. Promogift Blog would like to thank Estee Lauder and Harper's Bazaar for an insight into another amazing promotion offered.